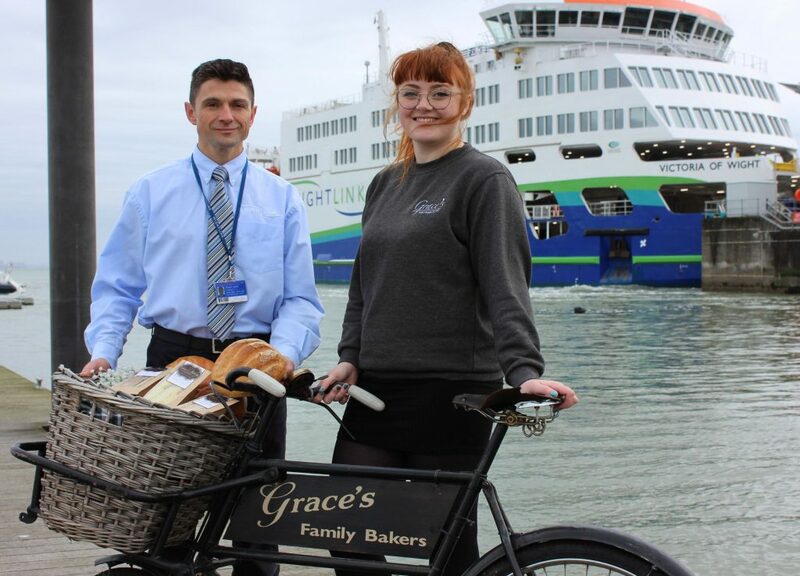 Customers onboard Wightlink’s car ferries can now enjoy tasty sandwiches made with bread baked freshly on the Isle of Wight, thanks to a new partnership with Island company Grace’s Bakery. Introduced on a trial basis on the Yarmouth to Lymington route last year, Grace’s sandwiches proved an overwhelming hit with customers, leading to a range of range of sandwiches, wraps and paninis as well as a selection of pastries being rolled out on the Fishbourne to Portsmouth route as well as Wightlink’s Camber Café in Portsmouth and Fishbourne’s Wight Taste café. Simon Lewis, Wightlink’s Head of Retail, says: “We are thrilled to be able to offer our customers an impressive range of sandwiches made with bread that goes from the oven to our ferries within hours. The Island bakery prides itself on using quality ingredients and locally sourced produce. Established more than 20 years ago by Ray Redrup and his wife Carole, Grace’s is a true family affair with the couple’s two sons Daniel and David involved in the day-to-day running of the business together with Ray’s brothers Derek and Mark. Grace’s Bakery’s range of products join the long list of tasty Isle of Wight treats available onboard Wightlink’s ferries at Wight Taste shops and cafés – including Briddlesford Farm’s milk from Guernsey herd, Island Roasted coffee, Wight Crystal water, Calbourne Classics cakes, products from The Garlic Farm, Isle of Wight Biscuit Company, Wight Salt from Ventnor and The Tomato Stall’s juice and ketchup as well as a range of drinks from Goddard’s Brewery, Island Ales and Isle of Wight Distillery.